C7 Stingray Registry HOT NEWS! Get an extra $1,000 toward the purchase or lease of a NEW CORVETTE with your trade-in. Lease a new CORVETTE Coupe for only $399 per month! 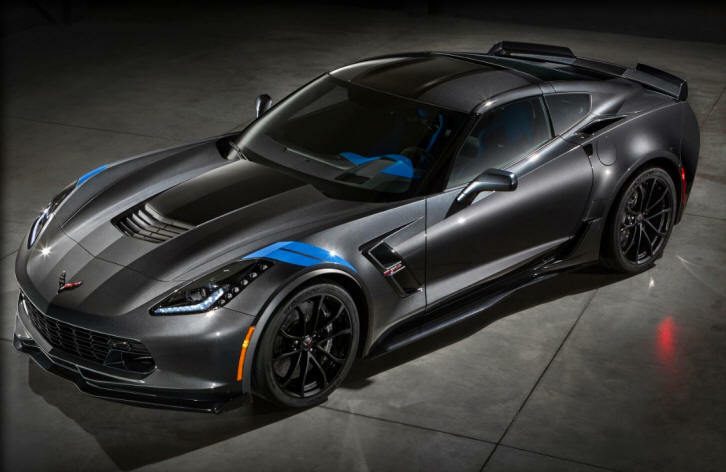 MEMBERS � Just released�.the Production Number Breakdown of the 650 2016 Corvette Z06 C7.R Edition. All of the 650 have been ordered and shipped to Dealers for delivery. There may be a few available if you want to own one of the most unique Corvette Z06 Limited Editions ever built�start your search now! The 2016 Corvette Z06 C7.R Limited Edition (RPO ZCR) is a road-going, track-capable honoring the Corvette Racing C7.R racecars. It�s offered in Corvette Racing�s signature YELLOW (GC6) and BLACK (GBA) with coordinated exterior and interior accents. Only 500 examples of the C7.R Edition will be built for the US market with 150 others to be spread around the world for other Corvette enthusiasts to enjoy. All ZCR�s will include the Z07 Performance Package with carbon ceramic brakes, as well as a specially SERIALIZED vehicle identification numbering from 1 to 650! Z07 Performance Package includes Brembo carbon ceramic-matrix brake rotors that improve braking performance and contribute to greater handling through reduced un-sprung weight. Z07 package also includes adjustable front and rear aero components for unprecedented aerodynamic downforce and Michelin Pilot Super Sport Cup 2 tires for enhanced grip. Z07 Performance Package enhances overall performance to make the Corvette Z06 one of the most track-capable cars you can buy off the dealership floor and still drive it to work every day. Combined with the 650-horsepower supercharged LT4 engine, true aerodynamic downforce and performance technologies such as Magnetic Ride Control, Performance Traction Management and an electronic limited slip differential, the Corvette Z06 C7.R Edition offers capability matched only by an elite fraternity of the world�s supercars and special-edition exclusivity that is sure to make it an instant collector�s item. GENEVA � With Corvette Racing in its DNA, the all-new 2017 Corvette Grand Sport is a pure expression of the car�s motorsports-bred pedigree. It was introduced today at the Geneva International Motor Show. The 2017 Corvette Grand Sport offers an estimated 1.05g in cornering capability � and up to 1.2g with the available Z07 package. Heritage-inspired design cues and exclusive features acknowledge the historic Grand Sport legacy, established in 1963 to take on the world�s best sports cars. Only five were built before a corporate decision suspending direct motorsports involvement ended the project. The result is a potent track car. In fact, the Grand Sport with the Z07 package is less than one second off the track record for the previous-generation Corvette ZR1 on the road course at GM�s Milford Proving Ground. Ray Evernham speaks with former GM Plant employee Angela Lamb, who signature was the only not saved on the 1-millionth Corvette restoration. Angela signed the replacement part at the car�s unveiling. Velocity�s hit series AMERICARNA returns to television next month with NASCAR legend Ray Evernham leading viewers through revolutionary moments in automotive culture. In the all-new season, premiering Thursday, March 3 at 9 PM ET/PT, Evernham opens the door to stories involving amazing cars and celebrity superstars. Ray explores the fascinating details behind the disastrous sinkhole that swallowed the showroom at the National Corvette Museum and visits with car loving A-list celebrities such as country music star Tim McGraw, racing legend Dan Gurney and blue�s musician Joe Bonamassa. 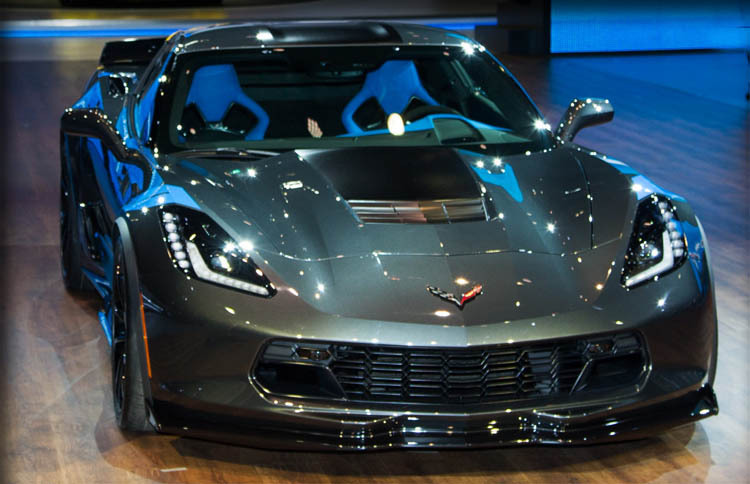 MEMBERS � C7 Stingray and Z06 production is running at full steam. 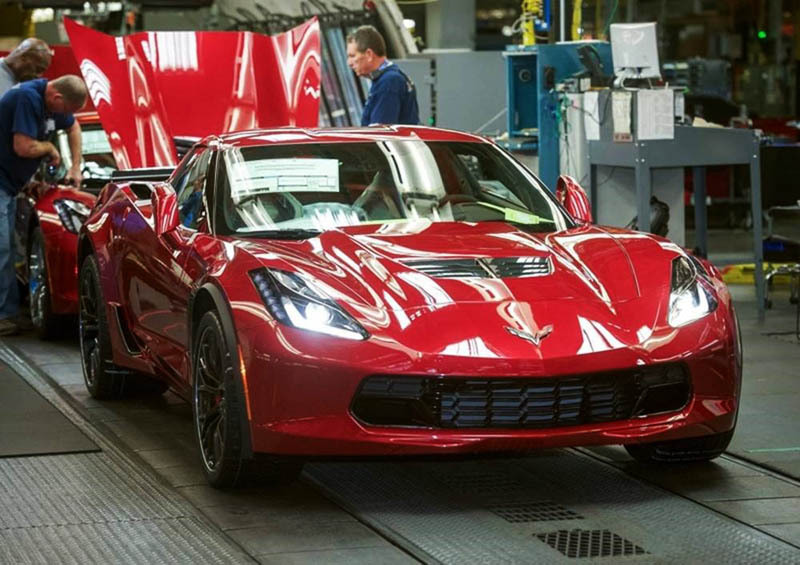 As of November 20, 2015 total production was 22,547 with 14,193 being Stingrays and 8,354 being Z06s. Arctic White still leads total production at 20% with Black 16% and Torch Red 15% close behind. These three very popular colors represent 51% of all C7s being built. Transmission choices are being led by the (M5U) 8-speed automatic with 81% in the Stingray and 71% in the Z06. Please see the additional information for more in depth details. CLICK HERE! One of the biggest announcements from Chevrolet at this year�s SEMA Show in Las Vegas was the launch of the Michelin Corvette Challenge racing series. The spec racing series will be held at Spring Mountain Motorsports Resort and Country Club and will see amateur racers go head-to-head with each other in identical Corvette Stingray racecars throughout the year. 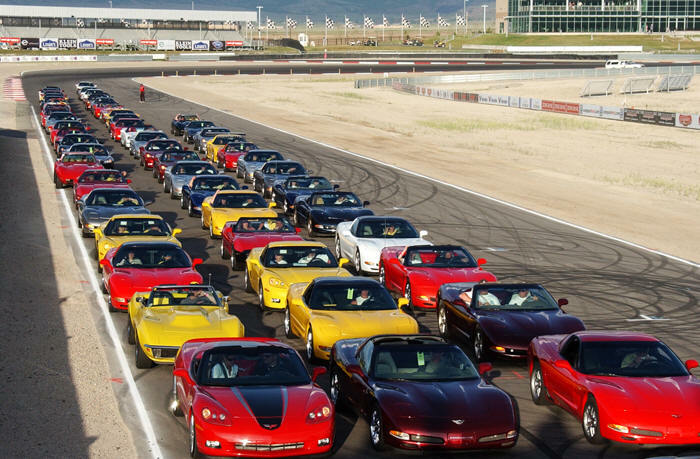 The package also includes all necessary safety equipment, a two-way radio, pre-event accreditation racing school, a custom racing suit, onsite insurance and storage for duration of 2016 Michelin Corvette Challenge and one year of Spring Mountain Motor Resort & Country Club Membership. That doesn�t cover the costs of the race weekends � each of which should cost competitors about $7,900. That sum will cover 6 sets of Michelin tires, a spotter, pre-event mechanical prep, mechanical maintenance support, fuel and access to the social and marketing team. With eight race weekends on the calendar (each of them double headers except for the finale) the total cost of racing not including the cost of the car will be $63,200. Interested parties must make a deposit of $85,000 upon registration, with the final $31,000 for the car needed by May 1, 2016. A $6,000 deposit is also needed 10 days before every race weekend. Altogether, one season the Michelin Corvette Challenge will run you $179,200. It�s not the cheapest way to get into racing, but if we had the money, we wouldn�t hesitate to sign up for even a minute. If you think you�ve got what it takes to compete in the series, head on over to MichelinCorvetteChallenge.com to sign up. BOWLING GREEN, Ky. � After more than four months and 1,200 man-hours of painstaking craftsmanship, restoration of the milestone 1 millionth Corvette � a white 1992 convertible � is complete. It was unveiled today at the National Corvette Museum, where it returns as part of the permanent exhibit. The car was damaged on Feb. 12, 2014, when it and seven other rare Corvettes tumbled into a sinkhole that opened beneath the museum�s Skydome area. �We felt it was important to restore this extremely significant car in Corvette's long, storied history,� said Mark Reuss, General Motors executive vice president, Global Product Development, Purchasing and Supply Chain. "When we disassembled it, we found that each employee involved in building it had signed a part of the car, which was fantastic and moving to see. It brought the history to life, and reinforced the importance of the project." After recovery from the sinkhole, the 1 millionth Corvette was moved from the museum to the Design Center on GM�s Technical Center campus in Warren, Mich., for restoration. Approximately 30 craftspeople and technicians from GM Design�s Mechanical Assembly group, along with GM Service Operations, took on the project. Mechanical Assembly and the Fabrication Shops at GM Design build concept vehicles and maintain GM�s historic vehicle collection. Despite extensive damage, the team, represented by UAW locals 160 and 1869, vowed to preserve and repair as many original components as possible � a decision that involved posterity as much as history. That�s because under the skin, the 1 millionth Corvette carried all those signatures from the Bowling Green Assembly workers who built the car. Only two signed components couldn�t be saved, so the team had the autographs scanned, reproduced as transfers and placed on the replacement parts. One component with a single signature from Bowling Green Assembly employee Angela Lamb was too damaged to save or even accurately scan for her autograph. Chevrolet worked with the National Corvette Museum to secure a new signature from Lamb on the replacement part, so the 1-millionth Corvette will be historically accurate down to the last signature. Surprisingly, the one component the team didn�t have to replace was the crushed windshield header. When the car first rolled into the shop, an overhead crane was used to raise it enough to make the car drivable, but the frame pulled up surprisingly close to the original position, encouraging the team to save it. The final touch was replacing the unique �1,000,000th� windshield banner it wore when it rolled off the assembly line 23 years ago. The computer graphic file used for the original was still available, allowing creation of an identical banner. The 1 millionth Corvette is the second sinkhole-damaged Corvette that Chevrolet has restored. The first, a 2009 Corvette ZR1 prototype known as the Blue Devil, was only lightly damaged and was returned to its original condition last fall. The National Corvette Museum will oversee the restoration of a third car, a 1962 Corvette. The other five Corvettes swallowed by the sinkhole will remain in their as-recovered state to preserve the historical significance of the cars. They will become part of a future sinkhole-themed display at the museum. 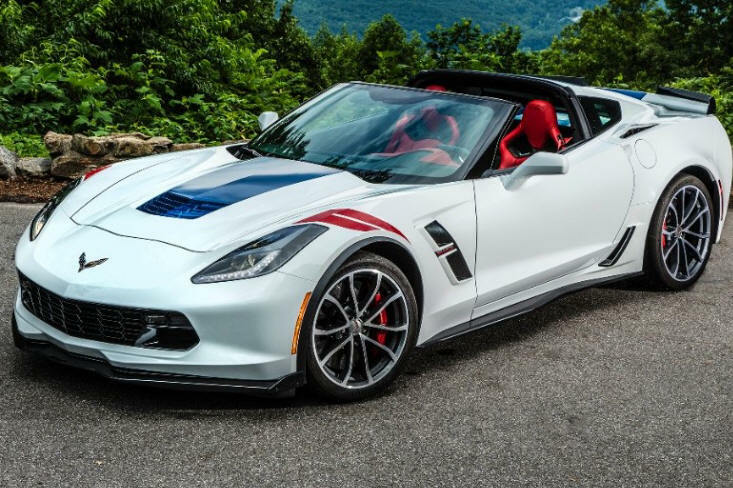 FAST FACT: The 1 Millionth Corvette rolled off the assembly line as a convertible with a white exterior and a red interior � just like the first Corvette produced in 1953. Join Directors Dan and Jake at this year�s Official C5/C6/C7 Registry Members Dinner Event! Members, you are invited to join Directors Dan and Jake at this year�s EXCITING Friday night Registry dinner event on August 28th from 6:00 to 9:00 pm featuring a catered buffet style dinner which includes beer and wine in the ticket price of $40.00 per person until August 20th and $50.00 per person after that. 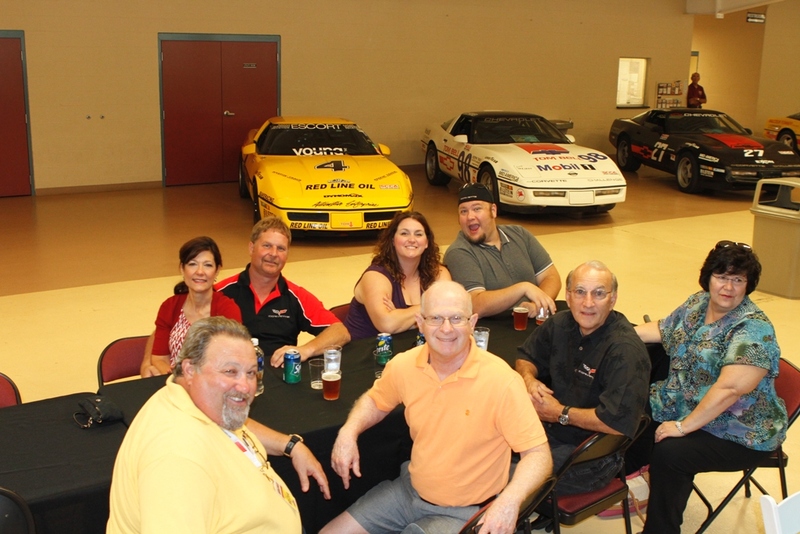 We know you and your Corvette Registry friends want Friday�s FUN to continue, and it will, with a benefit dinner at the air conditioned Carlisle Expo Center. This is a wonderful way to join your fellow Corvette enthusiasts and support the Chip Miller Charitable Foundation and pay tribute to its founder Chip Miller of Corvettes at Carlisle. Directors Dan and Jake will be speaking, so we know you don�t want to miss a minute of this event. See you there! Click on the link to make your advance dinner reservations http://chipmiller.org/events/purchase-the-cmcf-dinner/ . June 22, 2015: MILLER NO MORE! Miller Motorsports Park Will Close in October. When Larry H. Miller opened his gigantic $85 Million racing facility, he almost certainly didn't see the the world class set of racing tracks and courses and extensive groups of support buildings returning to Tooele ( pronounced "Tawilla") county a mere nine years later! Corvette Racing and the C5/C6/C7 Registry were there for the American Lemans Series, and Rolex Grand Am races held at the park. Miller Park has even hosted and World Superbike Championsip. __ One of Larry H. Miller's dreams is coming to an end. In an unexpected move, Miller Motorsports Park will cease operations on Oct. 31, the Larry H. Miller Group of Companies announced Friday. �On behalf of my family, I would like to thank all of those who have supported the track over the years, both locally and worldwide, for their enthusiasm and use of the facility," Larry H. Miller Group owner Gail Miller said in a statement released by the organization. In its press release, the Miller Group announced it had decided not to renew its lease on the land in Tooele County and to close the track, as was first reported by the Deseret News. Tooele County Commissioner Shawn Milne called the company's decision not to renew the lease "absolutely news to me," when contacted late Friday morning. Milne described a meeting later Friday between commissioners and Miller Group representatives as "cordial and professional." He declined to speculate about why the Miller Group made the decision it did. "We are either being given a completely new business unit or an opportunity to recruit a very unique business," Milne said. "I think counties are not normally in the business of running a race track � a world-renowned and beautiful race track," the commissioner continued. "So we can keep to our core competencies and look for someone else to pick up the LEGO pieces and build something of their own, or we can try to invent the wheel." Commissioners hope to attract another entity to take over operation of the facility, Milne said, and the Miller Group has agreed to take part in the process. "It was part of our conversation this afternoon," the commissioner said. "They have assured us and we are faithful that there will be a smooth transition." The Miller Motorsports Park will remain open throughout the racing season. The full schedule of summer racing events, driving schools, public karting and group activities will be held as planned, the organization announced. An all-day season-opening party is set for May 16. Miller Motorsports Park opened in 2006 and was touted as being one of the finest racing facilities in the world. However, it was also a huge financial drain on the Larry H. Miller Group of Companies, losing millions of dollars since its start. At the time of its opening, the 511-acre facility featured North America's longest road-racing track for motorcycles and all cars, except Formula 1 race cars. The park also had a 4.5-mile course divided into western and eastern tracks of about equal lengths, along with a 0.89-mile track for go karts. Over the years, the Alan Wilson-designed track has hosted high-profile events, including the American Le Mans series, a NASCAR race (Grand National West Series), the FIM Superbike World Championship and the AMA Superbike Championship, among others. While its decision may have seemed somewhat sudden, a Miller Group spokesman said it had been a long time in the making. Despite those efforts, she said the property was never able to reach profitability. When it opened, Larry H. Miller said the track was �a realization of a dream.� But it was an expensive dream � $100 million to be exact, Miller said in his biography written by Doug Robinson. That expense continued long after it began operation, Miller said. 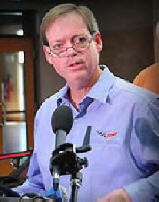 Former company CEO Greg Miller said of the racetrack, "It was bad timing. Sponsorships have been cut back and entertainment dollars are not being spent. But my father held it close to the vest. He wouldn�t involve the sports entertainment group (of The Miller Group). He did it personally." In the end, those close to Larry Miller were philosophical about the track. �Some people build swimming pools in their back yards or tennis courts,� Greg Miller said. �He wanted a racetrack and his yard wasn�t big enough." Robert Yardley is worried about how the closing of Miller Motorsports Park will impact his own small business. He launched Yardley Racing in 2014, building and selling high-performance go-karts for races at the Tooele track and elsewhere around the West. "I'll have to sit down, make some plans and see how I can save my business," Yardley said. "Larry would be devastated." LE MANS, France - Corvette Racing stood atop the podium at the 24 Hours of Le Mans on Sunday as Oliver Gavin, Tommy Milner and Jordan Taylor wrote the final chapter of a storybook comeback that ended with the team winning the GTE Pro category in their No. 64 Chevrolet Corvette C7.R. The trio in their No. 64 Chevrolet Corvette C7.R completed 337 laps for 2,864.50 miles in a frantic battle that eventually saw the Corvette win in class by five laps. Sunday's victory goes along with Corvette Racing's wins earlier this year in the Rolex 24 At Daytona and Mobil 1 Twelve Hours of Sebring in the TUDOR United SportsCar Championship. It also marked a significant turn in the fortunes for Corvette Racing in the span of four days. The No. 63 Corvette C7.R of Antonio Garcia, Jan Magnussen and Ryan Briscoe was withdrawn from the race following a hard crash with Magnussen driving. A small piece of debris inside the pedal box caused a throttle malfunction and the Corvette to skid and spin out of control. 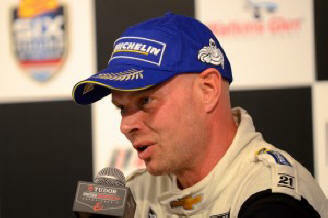 Magnussen - part of the winning lineup at both Daytona and Sebring with Garcia and Briscoe - was uninjured. "I am proud of how the No. 63 and No. 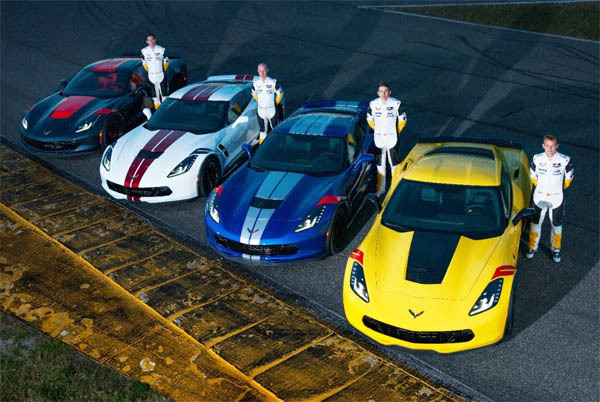 64 drivers, engineers and crew came together to rally around a single Corvette C7.R entry for the race after Thursday's unfortunate incident," said Jim Campbell, Chevrolet U.S. Vice President, Performance Vehicles and Motorsports. "They prepared thoroughly and had each others' back all race long. Perseverance, teamwork and execution were keys to the winning effort. "It was very emotional to be in the garage with the entire team when the checkered flag dropped," he added. "The Corvette Racing team simply never gave up." Gavin set the tone early in the race Saturday by move up three spots from seventh on the GTE Pro grid to as high as fourth in his first two stints. Milner followed with a triple stint on his Michelin tires that saw he and the Corvette move from sixth - where he slotted into the field after the leaving pit lane on his first laps - to the class lead. From that point, the three Corvette Racing drivers figured prominently in a lead battle that saw the Corvette go up against multiple competitors in the race's top production-based class. The climatic moment came with less than two hours remaining. Running second at the time, Gavin caught and then quickly passed Toni Vilander, who eventually lost five laps in the garage with a mechanical issue. Victory in sight, Gavin drove a smooth final stint with no issues - a fitting end to drama-filled four days. "This victory adds to what already has been a terrific year for Corvette Racing and the Chevrolet Corvette C7.R," said Mark Kent, Director of Chevrolet Racing. "Today's win at Le Mans goes alongside our successes in the Rolex 24 At Daytona and Mobil 1 Twelve Hours of Sebring. It shows the depth of our strengths and determination of everyone at Corvette Racing, GM Powertrain Performance and Racing team, and Pratt & Miller. I'd like to commend all of our partners who contributed to our eighth Le Mans victory." Said Campbell: "The enthusiasm of the Corvette and Chevrolet owners was overwhelming, and we received messages of support from around the world. The team even did multiple Skype sessions with National Corvette Museum members that were watching the race at the NCM theater. It was also great to see a full Corvette Corral here at Le Mans. "Racing enables us to transfer learnings from the track to design, engineer and build the best and safest Corvettes for the showroom." The next event for Corvette Racing's two Corvette C7.Rs is Sahlen's Six Hours At The Glen from Watkins Glen International on Sunday, June 28. It is the seventh round of the TUDOR United SportsCar Championship and will air on FOX Sports 1 and FOX Sports 2 starting at 10 a.m. ET. IMSA Radio also will have live flag-to-flag coverage. OLIVER GAVIN, NO. 64 CHEVROLET CORVETTE C7.R: "Winning Le Mans is always a fairy tale story. The way everything turned out over the week, with the No. 63 Corvette having its issues and not being able to start the race… the way the team all came together and led us into the race and enabled us to have this fantastic result today, it's just amazing. It's just been one of those days where you're waiting for something to spring up, like another hurdle to come in your way to stop you from taking a victory. It was a spectacular race for Tommy and Jordan and myself - one of those events where you're having great races with Aston Martin, Ferrari and Porsche but in the end we were the strongest car and we ended up coming away with victory. This is my fifth victory here at Le Mans, and I'm absolutely thrilled to come back here with Corvette Racing. I'm a very happy man." TOMMY MILNER, NO. 64 CHEVROLET CORVETTE C7.R: "Where do you start? It's unbelievable to be here with Corvette Racing and to represent the U.S., Chevrolet and Corvette at the biggest race in the world. It's one thing to race but it's another thing to actually achieve that. It is something that has happened twice now, but you don't expect that for one thing. It is just an amazing feeling... a sense of accomplishment. All the hard work that goes into coming here, and I only see part of it. The guys at the shop... when you look at all the people here to make this happen, to achieve victory is incredible. I'm just super happy to be here and be a part of it. "Then you look at the storyline for us for the week. You have the one car that goes out in qualifying. Typically after many accidents you can fix it, but that one was big enough that there was nothing we could do here. To have the whole team band together and work together throughout the weekend and throughout the race to do exactly this and get a win... I know all the No. 3 guys are disappointed a little bit with what happened after qualifying. But this was definitely a team victory. It's very cool to be a part of it. I can't thank those guys enough to be here in what is a difficult scenario. I've been there. It is difficult to be at a track and not racing. But for them to do whatever they can to help us, help the team, help Chevy and help Corvette achieve victory, this was a team win for sure." JORDAN TAYLOR, NO. 64 CHEVROLET CORVETTE C7.R: "I'm obviously a little speechless about the whole thing. The goal in sports car racing and almost any kind of in motorsports in general is to win Le Mans. 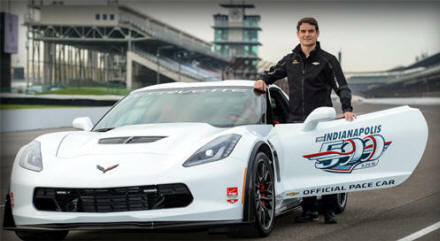 To win with Chevrolet and Corvette Racing as an American driver doesn't get any better than that. Being with the team for four years now, and the last two years only being able to do Le Mans with the team is tough. I have to thank them and Chevrolet for still believing in me and just to come and do this one-off race with them. So in one way I am happy for the team, but in another way it is a good way to say thank you to them." Jeffrey J. Lamarche, currently Plant Manager at Bowling Green Assembly (and member of the National Corvette Museum Board of Directors), has been promoted to the position of Plant Manager Flint Assembly and Stamping replacing Amy Farmer. Jeff began his career at the Van Nuys Assembly Plant, as a college co-op student. He has held positions in Quality, Manufacturing Engineering, Planning, Supply Chain and Manufacturing operations. Prior to his current assignment, Jeff has been a Plant Manager at the Brownstown Battery Plant and San Luis Potosi Complex. Jeff has a Bachelor�s degree in Electrical Engineering from Kettering University and a Master�s degree in Business Administration from Loyola Marymount University. Congratulations, and we will miss you, Jeff and wife, Shannon! When the Z06 rejoined the Corvette lineup in 2015 as the most capable model in the car�s long, storied history, it also joined an elite fraternity of the world�s most capable supercars. It returns for 2016, offering more choices for personalization to complement its world-class levels of performance � including an all-new C7.R Edition. 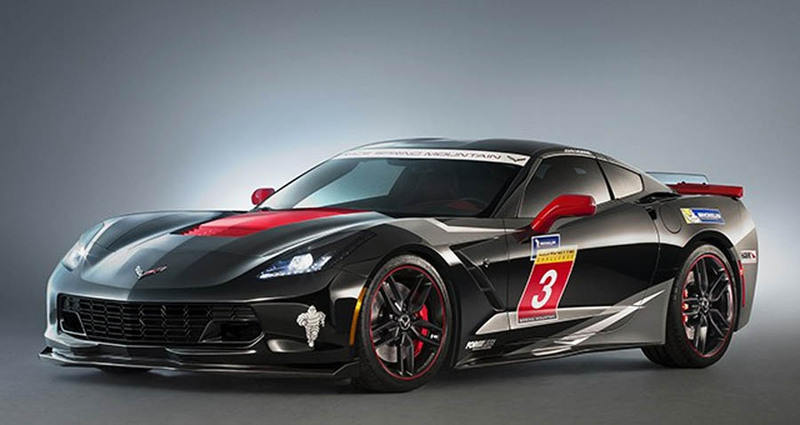 The C7.R Edition pays tribute to the Corvette Racing C7.R racecars. It�s offered in Corvette Racing�s signature yellow livery � or black � with coordinated exterior and interior accents. Only 500 will be built, all with the Z07 Performance Package with carbon ceramic brakes, and a specially serialized vehicle identification number. Click Here for more information, photos, and specifications. December 7: Chevrolet announced today it is resuming the exclusive Engine Build Experience for Corvette Z06 customers � the only program of its kind for supercar customers. 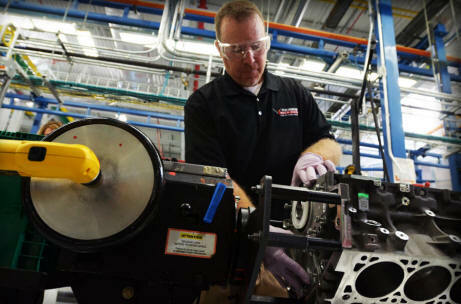 Upon completion, the engine moves to the vehicle assembly area of the plant, where it will be installed with the scheduled assembly of the customer�s Z06. December 1: Chevrolet is now shipping the all-new 2015 Corvette Z06 coupe from Bowling Green Assembly, some early customers could receive the much-anticipated supercar later this week. The new Corvette Z06 offers the most choice for customers in the model�s history. It is the first Z06 to offer an available eight-speed paddle-shift automatic transmission and, thanks to a stronger aluminum frame, a removable roof panel. In addition, it is the first time since 1963 that the Z06 is available as a convertible � which will arrive in early 2015. The new LT4 supercharged 6.2L V-8 engine is SAE-certified at 650 horsepower (485 kW) at 6,400 rpm and 650 lb-ft of torque (881 Nm) at 3,600 rpm � making the 2015 Corvette Z06 the most powerful production car ever from General Motors and one of the most powerful production cars available in the United States. To balance performance and efficiency, the LT4 leverages a trio of advanced technologies � direct injection, Active Fuel Management (cylinder deactivation) and continuously variable valve timing �with a new, more efficient supercharger. The LT4 helps make the Corvette Z06 the most capable car in the brand�s history. The Z06 accelerates from a rest to 60 mph in only 2.95 seconds when equipped with the all-new, available eight-speed automatic transmission � and achieves it in 3.2 seconds with the standard seven-speed manual transmission. When it comes to braking performance, the Z06 can stop from 60 mph in only 99.6 feet. That�s the best braking performance of any production car GM has ever tested. Additionally, the Corvette Z06 achieves 1.2 g in lateral acceleration compared with the Corvette�s previous best 1.13 g.
DETROIT (Sept. 30, 2014) � Corvette Racing and Chevrolet�s Corvette Daytona Prototype teams close the inaugural year of the TUDOR United SportsCar Championship this weekend with the 17th running of Petit Le Mans � the annual 10-hour endurance race at Road Atlanta. Saturday�s event has high stakes for Corvette programs in the TUDOR Championship�s Prototype and GT Le Mans (GTLM) classes with championships in both categories on the line. Petit Le Mans has been a staple of the Corvette Racing schedule as the event was part of the American Le Mans Series (ALMS) each year since 1999. Corvette Racing has won the event eight times � a record for entrants regardless of class. On the flip side, the Corvette Daytona Prototypes have raced at the 2.54-mile, 12-turn Road Atlanta circuit just once: in 2013 as part of the GRAND-AM Rolex Sports Car Series. However, all four Corvette DP teams participated in a two-day test at the track in September. Corvette Racing�s two Chevrolet Corvette C7.Rs and five Corvette Daytona Prototypes will be part of a 55-car grid that is set to crown champions in the TUDOR series� Driver, Team and Manufacturer ranks, as well as the Tequila Patr�n North American Endurance Cup. With five victories in the inaugural TUDOR Championship season, Chevrolet and its Corvette Daytona Prototype program can end it in the best fashion possible � with multiple Prototype championships. Chevrolet can clinch the first TUDOR Championship Engine Manufacturer title by having just one of its five Corvette DPs take the green flag Saturday. Taking the TUDOR title would go along with Chevrolet�s DP manufacturer championships in 2012 and 2013 as part of the GRAND-AM Rolex Sports Car Series. Adding in this year�s victories, the Corvette DP program has won 21 times since its debut a little less than three years ago. The scenario is similar for Action Express Racing in the Team standings. The No. 5 Corvette DP of Joao Barbosa and Christian Fittipaldi have three victories to their credit this year � the Rolex 24 (with Sebastien Bourdais), Indianapolis and Road America. As long as the No. 5 Corvette DP starts the race, Action Express will win its first team championship in Prototype competition. In the Driver Championship, Barbosa and Fittipaldi each need to drive a minimum of 45 minutes to become eligible for points. As long as they meet that requirement and do not drive for more than seven hours, they will each claim their first professional sports car championships. Should the No. 5 Corvette DP falter, two more Corvette Daytona Prototype teams wait in the wings � the No. 10 Wayne Taylor Racing Corvette DP of Jordan Taylor and Ricky Taylor (joined by Max Angelelli this week) and the No. 90 Spirit of Daytona Racing Corvette DP driven by Richard Westbrook and Michael Valiante (driving with Mike Rockenfeller at Road Atlanta). Both the Wayne Taylor Racing and Spirit of Daytona entries have won a race this year. In addition, Marsh Racing�s trio of Eric Curran, Boris Said and Max Papis will contest Petit Le Mans in their No. 31 Corvette DP as will the No. 9 Action Express Corvette DP of Burt and Brian Frisselle and Jon Fogarty. In the Tequila Patr�n North American Endurance Cup � a competition centering on the TUDOR Championship�s four long-distance rounds � Barbosa and Fittipaldi lead by five points over the Frisselles in the Driver category. Action Express Racing�s two Corvette DPs are 1-2 in Team points, and Chevrolet leads the Manufacturer standings. Points are awarded at the four- and eight-hour marks, as well as the end of the race. With four GTLM victories this season, Antonio Garcia stands second in the class� Driver championship heading to Road Atlanta and is seven points out of the lead. His first victory at Petit Le Mans would go a long way in helping score a second consecutive championship � he and Jan Magnussen were ALMS GT champions in 2013. As at Daytona and Sebring earlier this year, the two will drive with IndyCar standout Ryan Briscoe; the Aussie also is entered in the No. 4 Corvette C7.R alongside Oliver Gavin and Tommy Milner. Garcia needs a victory in the No. 3 Corvette and a fourth-place finish or worse by the leading Dodge Viper to claim the championship. In the GTLM Manufacturer standings, the best Chevrolet can hope for is a runner-up championship finish. SRT and Porsche are tied for the lead despite Chevrolet winning twice as many times as either manufacturer. In the Tequila Patr�n North American Endurance Cup, Gavin and Milner lead by a single point over a group of five drivers including Magnussen and Garcia. The gap is the same in the Team standings. Chevrolet is one point behind Porsche among manufacturers. Corvette Racing�s success at Road Atlanta dates back to 2000 when the team won Petit Le Mans for the first time in the GTS class. It started a nine-year run that saw seven victories in class including a three-peat from 2000 to 2002. The last victory for the team came in 2010 when Gavin, Magnussen and Emmanuel Collard won in dramatic fashion as the class-leading Ferrari ran out of fuel on the final lap � a result of Gavin�s intense pressure over the final stint. August 15: Mid-Engine Corvette Super Car? Motor Trend Magazine says: You like rumors? Hot, hard-to-resist rumors? Here�s one to jack your blood pressure through the roof! The next Chevrolet Corvette ZR1 will be mid-engined. That�s right, kids! Multiple sources have told us that the next version of the Corvette ZR1 will be mid-engined. One of these sources even stated that the next-generation Corvette -- the C8 -- will ship with its engine mounted in the middle. The rendering above, by Tom Matsumoto, shows what the mid-engined Corvette could look like. MEMBERS � Join me today in CONGRATULATING all our friends at the Bowling Green Assembly Plant on the completion of the first year of the C7 Corvette. Our �2014 North American Car of the Year� is without a doubt the most written about and awarded automobile on the planet! Every one of you knows C7 Corvettes were being snapped up as fast as our friends at the Corvette Plant were building them. It is estimated that over 35,000+ were built during the 2014 model year. With all the improvements that are incorporated into the 2015 model, along with the addition of the 650 hp AWESOME Z06 due out in February of 2015, life and power in the Corvette world is only going to REV UP!!! Our friends on the ground at Bowling Green confirm that the last 2014 Stingray was Arctic White and the very first 2015 Stingray was also Arctic White. I am sure Corvette Product Marketing Manager Harlan Charles, who is a Champion of Arctic White, was very pleased with these two special Corvette Stingrays! If you were waiting to see what changes would excite you into purchasing a 2015 Stingray, you should certainly be enticed by the new (RPO M5U) 8-Speed Automatic Transmission and the very cool (RPO UQT) Performance Data Video Recorder (which includes Navigation) and of course the Z06 Rocket Ship which will blast off early in 2015!!! DECATUR, Ind. � Lingenfelter Performance Engineering (LPE) has released its expertly tuned performance package series for the new, 2014 Corvette Stingray, with power starting at 550 horsepower and reaching as high as 750 horsepower with forced induction. CLICK HERE FOR PRESS RELEASE AND PHOTO! BEREA, Ohio � Staying true to its legacy of delivering market leading, high-performance exhaust systems for the Corvette, CORSA� Performance has released its new exhaust system for the C7 Corvette Stingray. CORSA introduced its patented Reflective Sound Cancellation� (RSC�) technology for the C5 Corvette and has since become a market leader in Corvette exhaust systems with its free-flowing, patented no-drone technology. 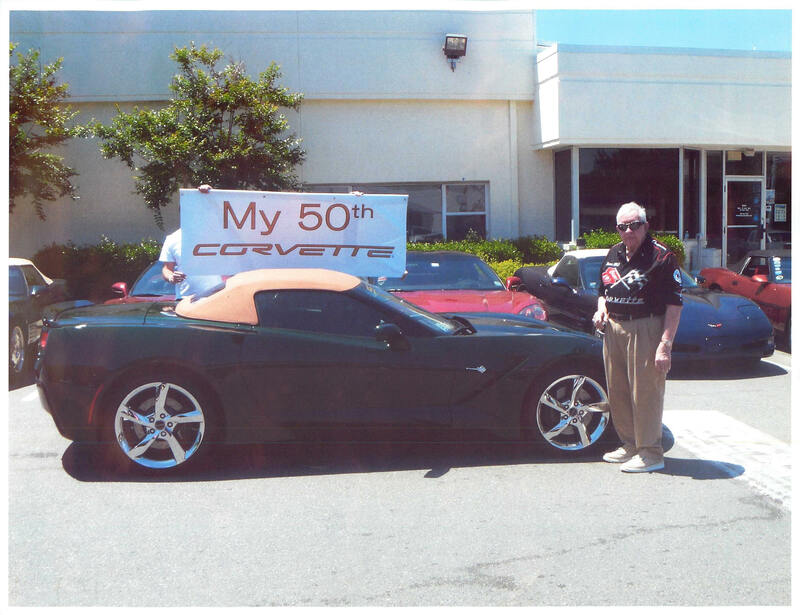 July 17: CONGRATULATIONS WILLIAM JOHNSTON ON YOUR 50TH CORVETTE! MEMBERS � CONGRATULATIONS to William Johnston of Cary, North Carolina, from Your Friends at the Official C5/C6/C7 Registry on the delivery of his 50th Corvette on May 12, 2014! Mr. Johnston has been a lifelong friend of the Registry C5R# Y4131 and an extremely dedicated Corvette enthusiast! William is now 77 years young and his first Corvette purchased was a brand new 1959. He has followed with an average of one new Corvette each year ever since! HELLO CHEVROLET MARKETING...WE KNOW YOU�RE WATCHING? You need to place Mr. Johnston in your next commercial, or better yet, your upcoming 2015 C7 brochure with a tag line....Corvettes and its owners both get "Faster and Younger" with age!!! BOWMANVILLE, Ontario, Canada (July 13, 2014) � Antonio Garcia and Jan Magnussen kept the momentum going for Corvette Racing and the Chevrolet Corvette C7.R with a victory Sunday in the Mobil 1 Sports Car Grand Prix presented by Hawk Performance at Canadian Tire Motorsport Park. Garcia, Magnussen and the No. 3 Corvette C7.R won their fourth consecutive race in the TUDOR United SportsCar Championship�s GT Le Mans class. Garcia finished 11 seconds clear of the second-place Viper as he and Magnussen extended their lead in the GTLM driver�s championship, along with Chevrolet�s and Corvette Racing�s advantage in class manufacturer and team points, respectively. Magnussen started and ran second for the majority of his stint before the class leader went off track just before the first round of pit stops. Magnussen pitted a lap later and handed off to Garcia, who had to fend off several challenges from the Viper before race traffic stabilized the Corvette�s advantage. The story was not as bright for the No. 4 Corvette of Oliver Gavin and Tommy Milner. Running third 30 laps into the race, Milner was hit and spun by a slower GT Daytona car in heavy traffic at the exit of Turn 3. Milner had light contact with the tire barrier but was able to continue albeit in sixth position. Gavin and Milner, last year�s winners at Canadian Tire Motorsport Park, finished seventh class. Corvette Daytona Prototypes filled two of the three podium positions in the TUDOR Championship�s Prototype class as Michael Valiante and Richard Westbrook placed second in the first race at Canadian Tire Motorsport Park for the Corvette DPs. The finish for No. 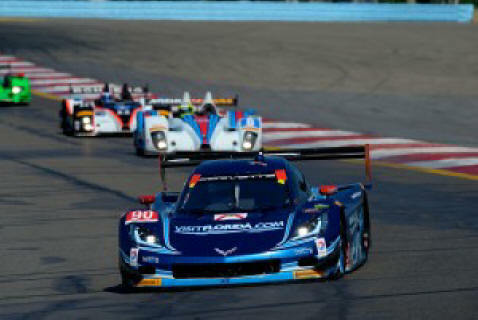 90 Spirit of Daytona Corvette DP backed up its victory two weeks ago at Watkins Glen. Wayne Taylor Racing�s Jordan Taylor and Ricky Taylor were third Sunday and maintained their lead in the Prototype driver�s championship standings. Oak Racing was the race�s overall race winner. On Friday, GM issued a recall notice for four vehicles, one of which was the 2014 Corvette Stingray. 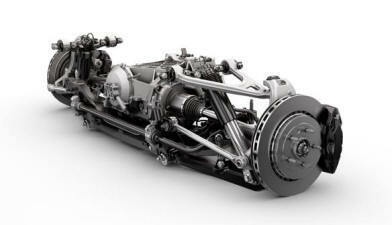 Specifically, the potential issue has to do with the rear-shock absorbers in Stingrays with the FE1 or FE3 suspensions. GM says the recall notice affect 1,939 Corvettes total in the US, plus 33 in Canada. Another 82 Corvettes with the issue have been exports. Dealers will replace the two rear shock absorbers in 1,939 2014 model year Chevrolet Corvettes in the U.S. with the FE1 or FE3 suspension to repair a possible insufficient weld in the rear shocks that could lead to a fracture and/or reduce the shocks� service life. Thirty-three additional vehicles were sold in Canada and another 82 were exported. GM is not aware of any crashes or injuries related to this issue..
All Corvettes Stingrays have either the FE1 or FE3 suspensions. The FE1 RPO code is for the base Stingrays while Corvettes with the Z51 Performance Package have the FE3 suspension. Based on the number of Corvettes being recalled, we assume the issue begins and ends during a certain range of VINs. This is the third recall for Corvette Stingrays in June and the cumulative total is now at 2,799 Corvettes. At the beginning of June, GM recalled 33 Stingrays for a short circuit in the sensing and diagnostic module that could disable front air bags, safety belt pretensioners and the Automatic Occupancy Sensing module. Two weeks ago, 712 Corvette Stingrays were recalled due to issues with the passenger side airbags in the Competition Sports Seats. Owners with Corvettes that are caught up in these recalls will receive a letter from General Motors letting them know when they can bring in their vehicles into a dealership for the free repairs. WATKINS GLEN, N.Y. (June 29, 2014) � In its 15 years of existence, Sunday marked Corvette Racing�s first event at Watkins Glen International. The team made its debut one to remember with a dominating GT Le Mans (GTLM) victory in the Sahlen�s Six Hours of The Glen for Antonio Garcia and Jan Magnussen in the No. 3 Chevrolet Corvette C7.R. 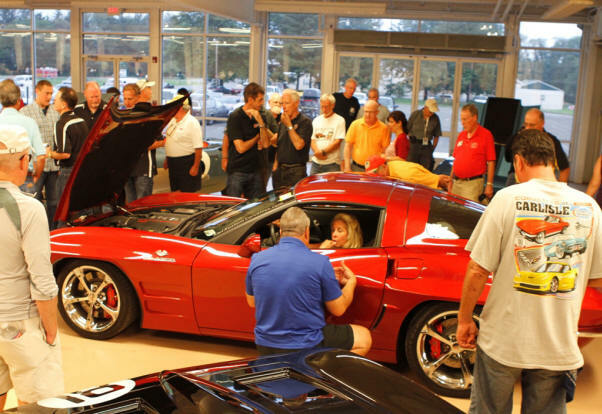 MEMBERS � We are excited to announce that this year�s 2014 Corvettes at Carlisle Official C5/C6/C7 Registry Friday night dinner will be held August 22 from 6 to 8 pm at the Carlisle Expo Center in conjunction with Lance Miller�s Racer�s Retreat Dinner & Gathering. This unique one-time event is going to include a parade of Race Corvettes leaving from the grandstands immediately following the LIGHT EM� UP Corvette Burnout event (approximately 5:15 PM). They will lead us to the air conditioned Carlisle Expo Center (1� blocks straight down K Street outside Gate 3) where they will be on display along with representatives who will share with you the historical significance of these Racing Corvettes. Of course it would not be a Registry dinner without our favorite GM Engineers on hand to answer all your questions about your C5, C6 or C7 Corvette. Our buffet style dinner will be catered by Carlisle�s famous Marcello�s restaurant and will include items such as Seafood Alfredo, Chicken/Veal Parmesan, Beef Tips & Rice, Salad, Bread�the works! It will be an AWESOME Corvette dinner! The price of $35 per person (or $55 for two) also includes beverages. But wait, there�s more�a DJ will be on hand providing us with awesome music for this once in a lifetime Corvette event! The deadline for signing up for this event is Friday August 8th at 11:59 PM. Please click on the following link to purchase your tickets online at $35 each or $55 for two, or call Carlisle Events at 717-243-7855. Directors Dan & Jake look forward to seeing you there! You can now rename Watkins Glen as �Corvetteville� � the GM brand was the car to have in both Prototype and GTLM competition at the latest round of the TUDOR United SportsCar Championship today. While Richard Westbrook used the straight line speed advantage of the Corvette Daytona Prototypes to pass the Le Mans-style P2 car of Alex Brundle on the penultimate restart to take the win, Antonio Garcia pushed Corvette Racing to its third consecutive victory in GTLM with Danish ace Jan Magnussen. The late race yellow with 25 minutes remaining changed the face of the race. Alex Brundle�s Oak Racing Morgan-Nissan had the pace of the field but needed a yellow to stretch his fuel mileage to the finish. The yellow (caused by contact between Alex Tagliani�s PC car and the GTD Porsche of Ian James) was a double edged sword for Brundle. He needed the yellow for fuel mileage, the but the restart allowed the lapped Frisselle brothers DP to get past him into turn one and then race winner Richard Westbrook (teamed with Michael Valiante) powered by on the run to the bus stop. Despite being quicker on the pack half the circuit, Brundle (teamed with Gustavo Yacaman and Ho-Pin Tung) was unable to get back past even in the final lap dash which was created by another late race yellow-causing crash between Renger van der Zande and Scott Pruett. For Garcia, the yellow saved their race as the Spaniard was saving fuel over the last stint with both Dodge Vipers coming strong at the finish. The win by Garcia and Magnussen (pictured right) pushed them into the championship lead. The duo also became the first pairing to score three consecutive class wins in the TUDOR United SportsCar Championship. Other class wins went to CORE autosport (Jon Bennett, Colin Braun and James Gue) in PC and Turner Motorsport in GTD (Dane Cameron and Marcus Palttala. June 11: GM REGISTERS TRADEMARK "ZORA" UNDER VEHICLES! GM filed for Trademark at the U.S. patent office June 2, 2015, the trademark has been assigned a number, 86297324, and filed under vehicles. WHAT DOES THIS MEAN? Perhaps, there going to be a new "Zora" special-edition Corvette soon, or maybe the much rumored future high dollar mid-engine Supercar?? Zora was largely responsible for the famed Grand Sport in 1963. Some speculate this could mean a new Grand Sport Tribute with a new LT4 or LT5 (even more horsepower) engine. Before the GS, in 1962 there was the CERV II. This four-wheel drive racecar was built on a monocoque chassis and was powered by an aluminum 377 cid single overhead-cam V8 with a Hilborn injection system. The engine put out 500 horsepower and was clocked at more 200 miles per hour and 0-60 times of 2.5 seconds, really fast in the "sixties". After the Grand Sport, Zora pushed his ideas further in 1968, helping Bill Mitchell to develop the Astro II as a possible future mid-ship �Vette. His next experiment was the XP-882 Corvette prototype that debuted at the New York Auto Show in 1970. A couple of years later, Zora installed a Wankel Rotary engine into the XP-987 GT at the behest of Ed Cole, then GM president, and the Two-Rotor Corvette was born as another step along the path to a mid-engined Corvette. In 1973, one of the extra XP-882 chassis was used for the 4-Rotor Corvette. The 4-Rotor Corvette was powered by two two-rotor Wankel engines that were mounted just in front of the rear axle. When GM finally deemed the rotary engine to cost-prohibitive to produce, this engine was removed from the car and a transverse-mounted V8 was installed. It was renamed the Aerovette in 1976 and saw some duty on the auto show circuit in the late 1970s. During that period, many car magazines speculated that the mid-engined Corvettes GM was exhibiting at auto shows were a preview of the redesigned 1980 Corvette. The fact that this never came to pass greatly disappointed Zora. At this point it is all speculation, only the really high-ups at GM know what, if anything is in the works, it has been said that maybe they just want to protect the name. Umm.. We think not. Zora is known as the "Father of Corvette", he was driving force for speed and horsepower. The Z06�s LT4 supercharged 6.2L V-8 engine is SAE-certified at 650 horsepower (485 kW) at 6,400 rpm and 650 lb-ft of torque (881 Nm) at 3,600 rpm. Members�Exciting News�. 24,497 C7 Stingrays have been produced through April 3, 2014! Please CLICK HERE to see the breakdown of all the options chosen by C7 owners to date. The big announcement at the NCM Bash was Lime Rock Green will be discontinued at the end of the 2014 Production Year and a new color of Daytona Sunrise Orange will be released for 2015. This is the first Z06 Convertible offered from the factory since 1963 when the Z06 option package was introduced for endurance racing. Records show only 199 Corvette orders with a Z06 package that year, including one convertible. CLICK HERE FOR MORE !! Last week the Corvette world got a little glimpse of the new GM Corvette Plant Manager, Jeff Lamarche during a Museum press conference. Here's a little more about Jeff! Lamarche started his career with General Motors in 1981, as a Co-Op student at the Van Nuys assembly plant. He progressed through multiple assignments of increasing responsibility in Quality, Manufacturing Engineering, Supply Chain and Production operations and has worked at various manufacturing locations including Van Nuys, Marion, GM Mexico, Linden, Fairfax, Global Quality Staff, San Luis Potosi and Brownstown. Lamarche earned his Bachelor�s Degree in Electrical Engineering from Kettering University and MBA from Loyola Marymount University. He has led GM�s Brownstown, MI Battery Assembly Plant since 2012. Welcome, Jeff! We look forward to hosting you at our Bash event in April! January 13: 2015 Z06 INTRODUCTION... WHAT AN AUTOMOBILE!!! Chevrolet today introduced the most track-capable Corvette in the brand�s history � the 2015 Corvette Z06. It stretches the performance envelope for Corvette with unprecedented levels of aerodynamic downforce, at least 625 horsepower from an all-new supercharged engine, and an all-new, high-performance eight-speed automatic transmission � all building on the advanced driver technologies introduced on the Corvette Stingray. Corvette Racing will field two C7.R race cars in 2014, starting later this month at the 52nd Rolex 24 At Daytona on Jan. 25-26. The race kicks off the TUDOR United SportsCar Championship � a new series debuting this year after the merger of the American Le Mans Series and GRAND-AM Rolex Sports Car Series. The C7.R will compete in the GT Le Mans class in 11 races around North America. The 2015 Corvette Z06 and the all-new C7.R represent the next evolution in the Corvette Stingray, the industry�s most awarded car in 2013. Continuing the momentum, the reveal of the Z06 and the C7.R will be live streamed on Monday, January 13 during the North American International Auto Show in Detroit. The live stream will be available at chevy.com/Z06 reveal beginning at 9:30 a.m. EST with a special event leading into the press conference, which begins at 10 a.m. EST in the Chevrolet Exhibit at COBO Hall. Members � Join Directors Jake & Dan at the Corvette Z06 and C7.R reveal live on Monday, January 13th at 9:30 am EST at the Chevrolet exhibit at COBO Hall in Detroit. We will post Z06 photos of this exciting event to our Facebook page as it happens. So tune in to this link chevy.com/Z06 to watch this event live. FYI...Our beloved 2014 Corvette Stingray is one of the three finalists for the North American Car of the Year Award. This award is based on 48 automotive journalists from the United States and Canada which vote to recognize the most outstanding vehicle of the year. We are confident that the C7 will WIN! 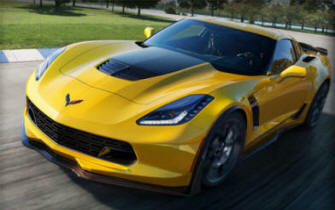 January 3: Chief Corvette Engineer admits 2015 Z06 could be the last new Corvette! Chief Corvette Engineer admits 2015 Z06 could be the last new Corvette �Ever! Drivers of the 2015 Corvette Stingray will have the opportunity to maximize their driving performances with the industry-first Performance Data Recorder. The system features integrated video, audio and motorsport-inspired telemetry recording capability so users can see their speed, gear, lap time and steering angle right from their infotainment center. Members � At 10:00 am on Friday, December 20, 2013, the Daytona International Speedway will be taking your calls for the Daytona Rolex 24 Hour race and Corvette Corral event. This event ticket is a 4-day pass for infield parking at the Corvette Corral, along with a Corvette-Only Parade Lap at 8:30 am on Friday, January 24, 2014. This $230.00 ticket is for two people and one Corvette Corral 4-Day Parking Pass including hospitality provided at the Corvette Corral. Call 877-306-7223. There are only 100 tickets available for this event. Our contact person, Gina, assured us that she and her team would be ready to accept our phone calls beginning at 10:00 am Friday, December 20th. The 52nd running of the Daytona Rolex 24 Hour race will be perhaps the most significant sports car race in the history of North America as the debut event for the new TUDOR United Sports Car Championship Series! December 4: Chevrolet will introduce the 2015 Corvette Z06 next month at the North American International Auto Show in Detroit. It will be the most track-capable Corvette ever, designed to deliver supercar levels of performance through unique powertrain, chassis and aerodynamic features. Action resumes for the American Le Mans Series this weekend in Lime Rock after an extended delay due to the annual break for the 24 Hours of Le Mans, but the recent trip to France was far from a vacation for the Corvette Racing team. The Michigan-based factory program sent its pair of Corvette C6.Rs to La Sarthe, along with most of its personnel from the Pratt & Miller workshop, but the ongoing development, design and construction of its next-generation racecar continued without interruption back in the USA. Built to the ACO's GTE Pro specifications, the first Corvette C7.R, set to replace the championship-winning C6.R, is almost ready to begin testing ahead of its competition debut at the Rolex 24 At Daytona in January. CLICK HERE FOR MORE! November 22: Automobile Magazine's Man of YearAutomobile Magazine's January 2014 issue names Tadge Juechter, Corvette Chief Engineer, Man of the Year. The publication praises Tadge as not only the most eloquent engineer they've met, but also "the one who got it right." In addition to Tadge's accolade, the 2014 Corvette Stingray was named Automobile Magazine's 2014 Automobile of the Year. Customizing Your Drive -- 2014 Stingray Corvette. The advanced cluster display in the 2014 Corvette Stingray is a configurable display that can provide up to 69 unique sources of information, ranging from an interactive performance timer to a tire temperature display. CLICK HERE! July 9: Corvette Stingray Most Efficient Sports Car on the Market! The 2014 Corvette Stingray will deliver up to an EPA-estimated 17 miles per gallon in the city, and 29 mpg on the highway, making the new Stingray the most fuel efficient sports car on the market as no other car offers more than 455 horsepower and greater than 29 mpg highway. CLICK HERE! March 5: Corvette - 6 Important Items - Dealer Allocation Information. CLICK HERE! February 27: News from SANLUIS Rassini � The company�s high-performance two-piece rotor was chosen for the 2014 Chevrolet Corvette Stingray. The rotor, which is the industry�s first to feature a ductile iron hat and gray iron brake plate, offers significant weight savings (up to 18 percent) and better performance at high speeds, when compared to conventional designs. More information can be found in the press release CLICK HERE! 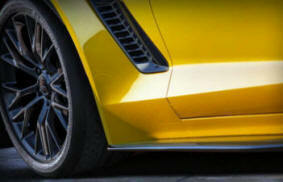 The 2014 Chevrolet Corvette Stingray looks like it�ll be offering a lot of bang for its 50-plus-thousand bucks. Chevy has unveiled the official performance specs for the all-new coupe, and they are definitely in the supercar category. When fitted with the optional Z51 performance package and magnetically controlled suspension system, the 460-hp �Vette can accelerate from 0-60 mph in 3.8 seconds, and cover the quarter mile in 12 seconds flat at 119 mph. More impressive, Chevy�s test drivers have lapped the 4.1-mile long track at Virginia International Raceway in a blistering time 2:51.78. The challenging circuit is often used my manufacturers for vehicle evaluation, and considered a benchmark for performance. Based on the results from Car and Driver magazine�s annual �Lighting Lap� comparison test held at the track, the Stingray�s time is 10 seconds faster than the last generation Z51 and on par with the current top of the line 638 hp Corvette ZR1, which rings up at $113,595. Base price for the �14 Corvette is $51,995, which gets you 455 hp, and one outfitted like the test car will cost $56,590 when it hits showrooms this fall.